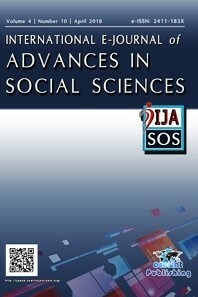 International E-Journal of Advances in Social Sciences (IJASOS) is a high-quality open access peer-reviewed international online journal. IJASOS welcomes research manuscripts in all fields of social sciences and humanities. • To provide the journal that reports research on topics that are of international significance across social sciences and humanities contexts. • To publish high quality manuscripts that are of international significance in terms of design and/or findings.